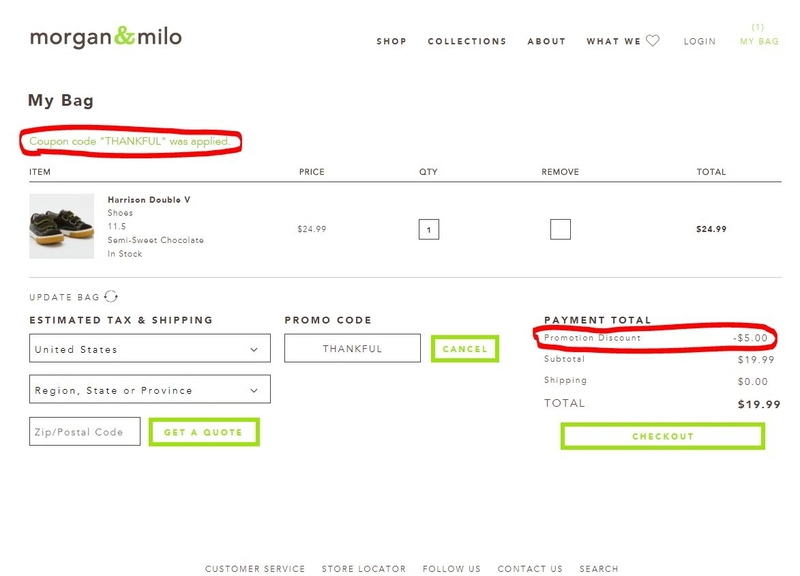 xd I am validating that this deal works as described. 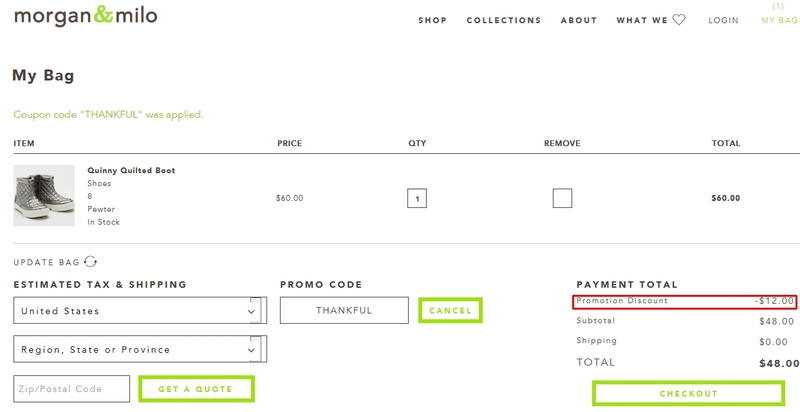 Just add code THANKFUL to cart and apply claim discount and Get 20% Off Site Wide at Morgan & Milo. This is a limited time offer. There may be some exclusions that will apply to this deal. Manuel Pérez I am validating that this deal works as described. 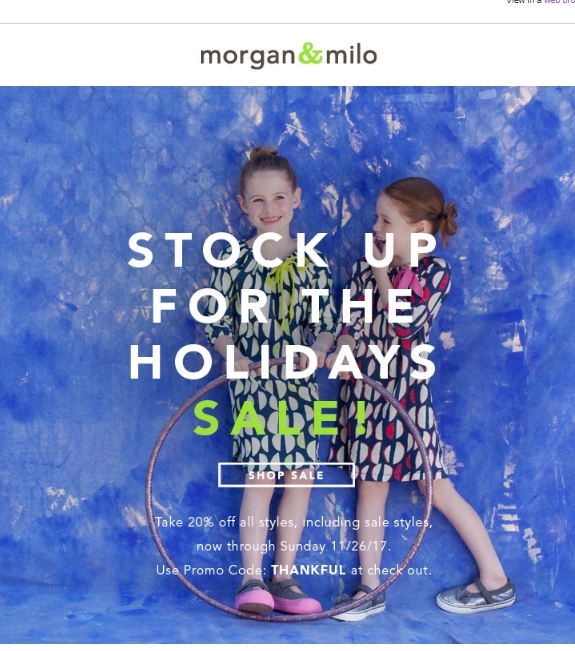 Enter the code THANKFUL and get 20% Off Site Wide at Morgan & Milo. This is a limited time offer.